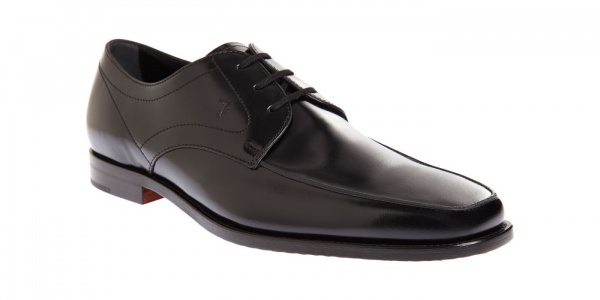 Tod’s produces the Henry Windsor, a sharp apron toe derby, inoffensive and classic. Italian made of black leather with a simple apron toe design and three-eyelet open lacing system, this is the simple, basic shoe for those days you don’t need to think footwear choices over too hard. Available online now. This entry was posted in Footwear and tagged Henry Windsor. Bookmark the permalink.